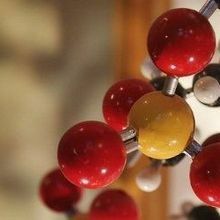 Nanoscale, self-assembling, DNA-origami sheets with a drug on the inside that unfold when they encounter a tumor-specific protein successfully shrank breast tumors in mice, researchers at Arizona State University, the National Center for Nanoscience and Technology in China, and colleagues reported in Nature Biotechnology in February. Although it remains to be seen whether the drug-delivery system will translate to humans, the study’s authors are “looking at specific binding to tumor cells, which is basically the holy grail for . . . cancer therapy,” says the University of Tennessee’s Scott Lenaghan. 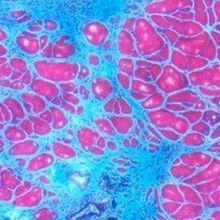 Artificial neural networks can process vast amounts of data and identify patterns that would likely elude a human doctor, making them strong candidates to sift through blood samples for signs of cancer. Multiple labs are now looking to artificial intelligence to help catch cancer early, and to identify features of individual patients’ cancers that indicate the suitability of particular treatments. As some researchers look to minimize the use of lab animals, others want to maximize the information we can glean about those in the wild. Used correctly, drones can be key for that job, and researchers are putting them to work for everything from whale snot collection to detecting the size and condition of whole populations of sea turtles. “In the past, you couldn’t even pretend you were going to go and collect data at the level of accuracy and precision we can now get,” says Monash University ecologist Rohan Clarke. It’s been a challenge to untangle the signals transmitting visual information to the brain, but a technique published in Science in June opens up a new way of recording those data. Researchers led by Charles Lieber of Harvard University developed a thin mesh that can be injected into the corner of a live mouse’s eye. There it unfurls and transmits electrical signals via tiny wires. 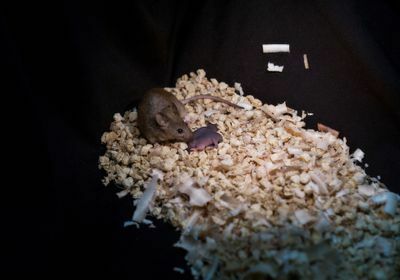 Remarkably, the mesh has little effect on mice’s vision, and the animals are able to move around normally in between experiments. Because of differences in how much certain genes are activated, neurons of the same subtype in difference locations may play very different roles. To better visualize where in tissue sections multiple genes are being expressed, Xiao Wang of Stanford University and colleagues developed STARmap, which involves converting tissue samples into a hydrogel to better detect barcodes that reveal the locations of target RNAs. 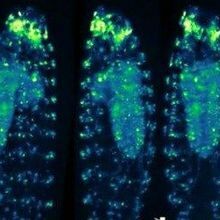 “The [image] quality they demonstrate here is very impressive,” says molecular systems biologist Sten Linnarsson of Sweden’s Karolinska Institute who was not involved in the work. Correction (December 26): The paragraph on tumor-destroying nanorobots listed the wrong affiliation of the researchers. The Scientist regrets the error.